4 FREE videos revealing how professional traders manage risk, capture large trends, time markets and manage their emotions. Patrick Stockhausen is an equities and options trader, heads a private investment fund and is the founder and CEO of the Taking Stock Group. For more than 25 years Patrick Stockhausen has studied the science, psychology and behaviours of building wealth, particularly in the financial markets. Patrick has extensive knowledge and experience in behavioural finances, financial modeling, systems development, money management, trading and wealth psychology, peak performance and much more. As a result Patrick is one of the world’s leading experts on the topic of the psychology, principles and practice of financial wealth building. 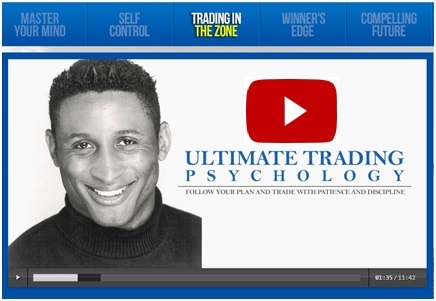 As a financial educator he is the creator of more than 20 products and programs on the topic of the psychology and practice of successful trading and wealth building. As a consultant, he is renowned for providing cutting-edge psychological strategies for awakening the individual’s drive to achieving an inspired wealth mission and also for taking elite financial achievers to the next level. Patrick Stockhausen has shared his wealth transformative principles and methodologies in seminars, conferences and private consultations with private traders and investors, business executives, entrepreneurs, real estate developers and money and asset managers in order to raise their game and results. As a former TV presenter, his unique style of delivery entertains, empowers, enthuses and creates results. Patrick’s message of wealth accumulation has inspired millions across the world to pursue and achieve the financial destiny they desire.